An interview from the 2018 International Broadcast Convention in Amsterdam with Hillary Henderson of IBM Watson Media. IBM Watson is the first commercially available cognitive computing capability, representing a new era in computing. Watson analyzes high volumes of data and processes information more like a human than a computer—by understanding natural language, generating hypotheses based on evidence, and learning as it goes. In this interview Hillary talks with us about IBM Watson Media solutions and how they enable leading brands to infuse artificial intelligence throughout their media workflow, unlocking new monetization opportunities and maximizing viewer engagement. 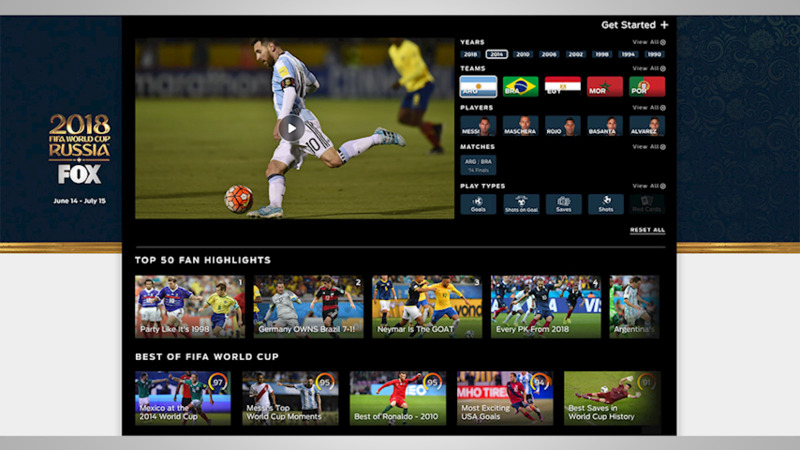 Beginning with the 2018 FIFA World Cup, FOX Sports is tapping IBM Watson Media’s specialized AI video technology and IBM iX’s proven expertise in designing user experiences to streamline production workflows to quickly classify, edit and access match highlights in near real-time. The advancements to production and distribution will enable FOX Sports to curate engaging video clips and match highlights so that sports enthusiasts back home don’t miss a single play, penalty kick, or goal. The collaboration kicks off with the launch of The Highlight Machine. This interactive experience, designed and developed by IBM iX, one of the world’s largest digital agencies and global business design partners, empowers fans to browse FIFA’s archive of past matches and effortlessly create custom highlights from both the historic footage and content from the 2018 tournament. Fans can customize highlights by year, team, player, match, and play type within seconds and share their favorite FIFA moments with the world. Soccer fans will be able to view and filter highlights by team, player, timeframe and type of gameplay like penalty kicks and goals. To extend the post-match conversation on social media, viewers can save, favorite and share highlight reels as well as catch up on games by speedwatching critical, automatically generated clips. IBM Watson Media provides extensive analysis of objects, people, words, concepts, emotional overtones, and character personalities that help media and entertainment companies deliver more relevant content to consumers, create better matches for advertisers, and add efficiency to video production and editing. Within the realm of sports entertainment specifically, we have collaborated with some of the biggest names in sports, and have brought the AI power of Watson to premiere sporting events like The Masters, Wimbledon, and the US Open.